Washington: Ryan Reynolds is once again hard at work as the official social media intern of Deadpool 2, this time posting the highly-anticipated first look at Josh Brolin as the time-traveling mutant Cable on Twitter. The image has all the requirements that should make Cable fans happy. Grey/silver hair, a cybernetic left eye and arm, and huge guns, literally and figuratively (he's been working out for the role). Reynolds even tweeted out another, more up-close picture of Brolin's face to reveal Cable's trademark scars over his right, non-cybernetic eye. The teddy bear on Brolin's left hip reveals that even a tough-guy character like Cable isn't too macho for some of the Deadpool movie franchise's now-to-be-expected twisted sense of humor. But the bear also could be a clue to a major plot point of Deadpool 2, which will hit theaters in summer 2018. Is Hope Summers going to make an appearance in Deadpool 2? The mutant from the comics is very important to the future of mutantkind, and Cable at a time was responsible for her. All signs from that teddy point to "highly maybe." Last week Reynolds revealed the first image of Zazie Beetz, who also stars in Deadpool 2 as Domino. 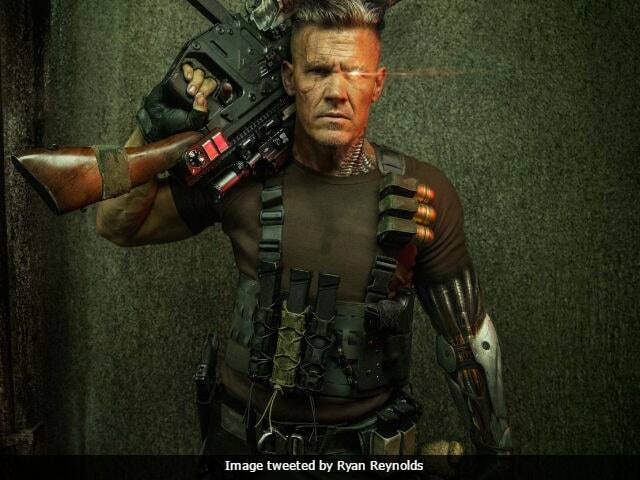 We do know from the wording of Reynolds' up-close photo/tweet of Brolin that Cable, just like in his frequent appearances in the pages of X-Men and X-Force comics, will be from the future. What we don't know - especially since the image reveals of both Cable and Domino were done separately - is if Cable and Domino are a team. Are they both going at things solo? Will one of them team up with Deadpool? Will they both be trying to kill him? And what is it that brings Deadpool into their paths? Cable and Domino are original members of the Marvel Comics mutant team X-Force, where they have fought alongside and against Deadpool frequently. Their appearances in Deadpool 2 could pave the way for more X-Force characters making appearances and possibly give 20th Century Fox another R-rated X-Men movie franchise if the characters are received well from fans. Also, if Summers is indeed in Deadpool 2 as a child, she could serve as the perfect plot point for future X-Force films as she continues to grow up.